Andy Bentote is the Senior Managing Director of Greater China at PageGroup and leads all areas of the business across the region. This spans the 10 offices located in Hong Kong, China and Taiwan. Since joining PageGroup in 1994, Andy has been responsible for driving various businesses to record levels, building up the leadership team, increasing the growth of market share, people development as well as mentoring of new local and international staff. 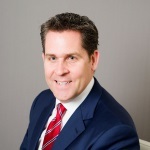 His experience exceeds 20 years of expanding recruitment businesses internationally as well as the development of leaders and employees across Greater China and the UK. Through the course of his recruitment career, Andy has managed recruitment teams specialising in sectors such as finance, banking & financial services, human resources, legal, sales, marketing, digital, retail & sourcing, technology, engineering, manufacturing, procurement & supply chain, property & construction as well as secretarial & business support sectors. He also possesses expertise in the recruitment of senior-level appointments across UK and Asia Pacific. 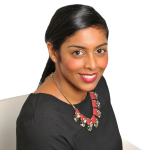 Sharmini Wainwright is the Managing Director of the Hong Kong business, with responsibility for the Page Personnel and Michael Page businesses. Her remit includes managing a team of 140 people across three offices in Hong Kong. 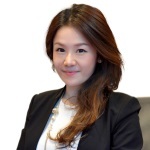 She has over 12 years’ experience with PageGroup spanning Hong Kong and Australia (Sydney and Melbourne). She transitioned from her earlier career as a Chartered Accountant to recruitment due to a passion for wanting to build a business and deliver the best talent to multinational brands. Having moved to Hong Kong in 2012, Sharmini has driven the Michael Page and Page Personnel business to record performances in 2014 and 2015. He is currently the Regional Director for the Finance, Sales, Marketing, Digital, Retail, Procurement & Supply Chain disciplines in Hong Kong. Over the last 10+ years, Howard has developed a strong track record of success in providing extensive consultative service and career advice to his client and candidates in the market. Currently, Howard focuses on executive level recruitment across Hong Kong and assists clients to develop the best recruitment strategies based on global market insights. Prior to joining Michael Page, Howard worked as a key account executive for an esteemed apparel manufacturing company where he handled a regional role serving key clients from North American and European markets. Steve is the Director of Page Executive in Hong Kong. 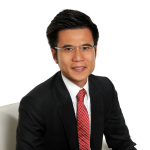 He joined PageGroup in Singapore 2007 where he managed financial services for 3 years. In 2010 Steve returned to Hong Kong to launch front office banking and eventually manage all of financial services. 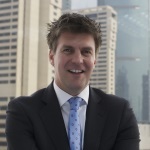 Steve was relocated to Malaysia in 2012 to assist in establishing PageGroup’s footprint in both Malaysia and Indonesia. Steve has rejoined PageGroup in Hong Kong as the Head of the Hong Kong Page Executive practice. His core responsibility is the development of the Page Executive brand in Hong Kong. Olga is the Regional Director for Michael Page Hong Kong, looking after Legal, Technology and Property & Construction businesses. 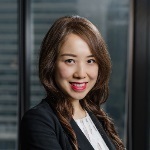 She has more than 10 years of recruitment experience across Greater China region, particularly with an outstanding proven track record in placing all levels of legal professionals, with a stronger focus on mid to senior level hires. Graduating with a Bachelor and Master degree in Law, Olga possesses experience gained from international law firms prior to joining Michael Page. Olga has extensive networks across the in house and private practice sector, and with in-depth knowledge of legal talent available within the region. Her background and vast experience has helped Olga gain the trust of her clients as she is able to understand and assist professionals across all levels of seniority. Gabriel is the Director of Michael Page with over 10 years of recruitment experience in Hong Kong. Starting his Michael Page career in 2007, Gabriel is currently leading a team of recruitment specialists that cover middle to senior level talent market across different sectors in Sales, Marketing and Digital function. In addition to his team management responsibilities, Gabriel also manages senior level assignments in areas of general management and senior sales & marketing executives. On top of that, he is also currently leading education industry practice within Michael Page Hong Kong too. Prior to joining Michael Page, Gabriel had first-hand industry sales & marketing experience in various global MNCs in field of FMCG and banks, before deciding to leverage on his industry experience to step into recruitment industry, starting off as a Research Analyst in a global executive search firm. Gabriel held a Bachelor Degree in Business Administration and Master in Global Political Economy (Dean’s List) in the Chinese University of Hong Kong. 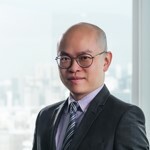 Joshua is the Regional Director for Page Personnel in Hong Kong focusing on entry to mid level recruitment across specialist disciplines including Contracting, Accounting, Banking & Financial Services, Secretarial & Business Support, Sales, Marketing, Digital, Technology, Engineering, Procurement & Supply Chain and Human Resources. 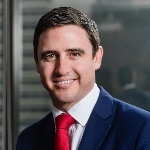 Josh first joined Michael Page Australia in 2006 before moving to Shanghai in 2011 where he was responsible for growing a variety of Divisions to record performance and market share including Procurement & Supply Chain, Technology, Marketing, Sales, Human Resources, Engineering & Manufacturing and Finance. Stationed in Hong Kong now, Josh has a strong mix of knowledge and networks within Greater China and Asia Pacific developed across his 11+ years with Page Group. Ellen has 3 years of banking experience in Canada prior to joining Page Group. She started her career in the Financial Services team in Page Personnel where she quickly was recognized as the Top Biller in the brand. With strong track records to provide tailor made solutions in expansion, strategic recruitment plans and projects to further develop talents within the banking industry - Ellen is now managing the Human Resources, Secretarial, Procurement & Supply Chain, Financial Services and Contracting business in Page Personnel. Ellen held a Master of Strategic HR Management in Baptist University and a Double degree in Mathematics and Economics in University of Manitoba.